As a Charleston Home Inspector, and Certified by InterNACHI, Inspection Connection follows a strict Standards of Practice policy. 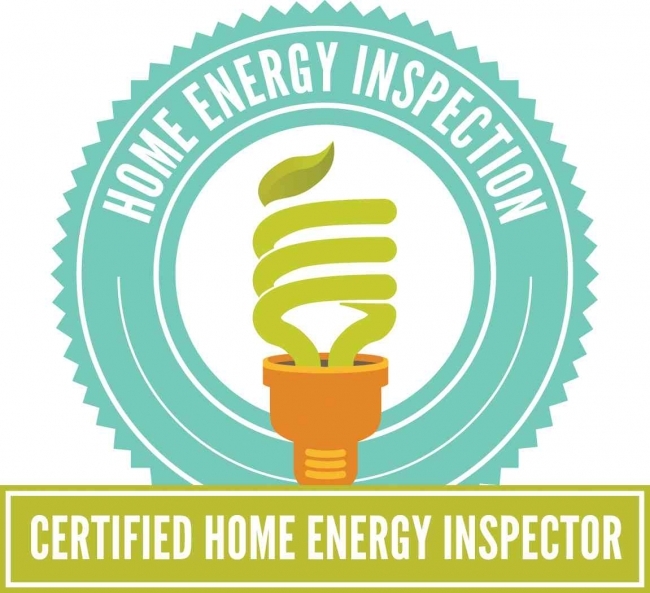 Any Charleston Home Inspection, as well as any Inspections in WV, should receive the courtesy of these standards. Most of the larger Home Inspection Organizations, as well as the State of WV, set certain standard practices. A client should always check that his inspector is Certified, and adheres to these practices. This is actually a detail of the What's Inspected page, if you would like some information on what is and what is not covered during your home inspection. P. any manufacturers' recalls or conformance with manufacturer installation, or any information included for consumer protection purposes. R. replacement or repair cost estimates. A. move any personal items or other obstructions, such as, but not limited to, throw rugs, carpeting, wall coverings, furniture, ceiling tiles, window coverings, equipment, plants, ice, debris, snow, water, dirt, pets, or anything else that might restrict the visual inspection. E. inspect underground items, such as, but not limited to, lawn-irrigation systems, underground storage tanks or other indications of their presence, whether abandoned or actively used. F. do anything which may, in the inspector's opinion, be unsafe or dangerous to the inspector or others, or damage property, such as, but not limited to: walking on roof surfaces, climbing ladders, entering attic spaces, or negotiating with pets. M. research the history of the property, report on its potential for alteration, modification, extendibility or suitability for a specific or proposed use for occupancy. G. and report on any observed cutting, notching and boring of framing members that may, in the inspector's opinion, present a structural or safety concern. D. identify size, spacing, span or location or determine the adequacy of foundation bolting, bracing, joists, joist spans or support systems. N. inspect and report any evidence that toilets are damaged, have loose connections to the floor, leak, or have tank components that do not operate. S. test, operate, open or close safety controls, manual stop valves and/or temperature or pressure-relief valves. T. examine ancillary systems or components, such as, but not limited to, those related to solar water heating and hot water circulation. N. service entrance cables, and report as in need of repair deficiencies in the integrity of the insulation, drip loop, or separation of conductors at weatherheads and clearances from grade and rooftops. E. operate smoke or carbon monoxide detectors. D. and report as in need of repair deficiencies in the lintel, hearth and material surrounding the fireplace, including the fireplace opening's clearance from visible combustible materials. D. and report on the general absence or lack of insulation or ventilation in unfinished spaces. C. inspect for safety glazing. E. evaluate the fastening of islands, countertops, cabinets, sink tops or fixtures. J. verify or certify proper operation of any pressure-activated auto-reverse or related safety feature of a garage door. M. operate or evaluate self-cleaning oven cycles, tilt guards/latches, or signal lights. O. operate or examine any sauna, steam-generating equipment, kiln, toaster, ice maker, coffee maker, can opener, bread warmer, blender, instant hot-water dispenser, or other small, ancillary devices. U. pools, spas or fountains. V. determine the adequacy of whirlpool or spa jets, water force, or bubble effect. W. determine the structural integrity or leakage of pools or spas. · accessible:in the opinion of the inspector, can be approached or entered safely without difficulty, fear or danger. · activate: to turn on, supply power, or enable systems, equipment or devices to become active by normal operating controls. Examples include turning on the gas or water supply valves to the fixtures and appliances, and activating electrical breakers or fuses. · adversely affect:to constitute, or potentially constitute, a negative or destructive impact. · alarm system: warning devices, installed or freestanding, including, but not limited to: carbon monoxide detectors, flue gas and other spillage detectors, security equipment, ejector pumps, and smoke alarms. · appliance: a household device operated by the use of electricity or gas. Not included in this definition are components covered under central heating, central cooling or plumbing. · architectural service: any practice involving the art and science of building design for construction of any structure or grouping of structures, and the use of space within and surrounding the structures or the design, design development, preparation of construction contract documents, and administration of the construction contract. · component: a permanently installed or attached fixture, element or part of a system. · condition: the visible and conspicuous state of being of an object. · crawlspace: the area within the confines of the foundation and between the ground and the underside of the lowest floor's structural component. · decorative:ornamental; not required for the operation of essential systems or components of a home. · describe: to report in writing a system or component by its type or other observed characteristics in order to distinguish it from other components used for the same purpose. · determine: to arrive at an opinion or conclusion pursuant to examination. · dismantle: to open, take apart or remove any component, device or piece that would not typically be opened, taken apart or removed by an ordinary occupant. · engineering service: any professional service or creative work requiring engineering education, training and experience, and the application of special knowledge of the mathematical, physical and engineering sciences to such professional service or creative work as consultation, investigation, evaluation, planning, design and supervision of construction for the purpose of assuring compliance with the specifications and design, in conjunction with structures, buildings, machines, equipment, works or processes. · enter: to go into an area to observe visible components. · evaluate: to assess the systems, structures and/or components of a property. · examine: to visually look (see inspect). · foundation: the base upon which the structure or wall rests; usually masonry, concrete or stone, and generally partially underground. · function: the action for which an item, component or system is specially fitted or used, or for which an item, component or system exists; to be in action or perform a task. · functional: performing, or able to perform, a function. · general home inspection: the process by which an inspector visually examines the readily accessible systems and components of a home and operates those systems and components utilizing these Standards of Practice as a guideline. · home inspection: see general home inspection. · household appliances: kitchen and laundry appliances, room air conditioners, and similar appliances. · identify: to notice and report. · inspect: to examine readily accessible systems and components safely, using normal operating controls, and accessing readily accessible areas, in accordance with these Standards of Practice. · inspected property: the readily accessible areas of the buildings, site, items, components and systems included in the inspection. · inspector: one who performs a real estate inspection. · installed: attached or connected such that the installed item requires a tool for removal. · material defect: a specific issue with a system or component of a residential property that may have a significant, adverse impact on the value of the property, or that poses an unreasonable risk to people. The fact that a system or component is near, at or beyond the end of its normal useful life is not, in itself, a material defect. · normal operating controls: devices, such as thermostats, that would be operated by ordinary occupants which require no specialized skill or knowledge. · observe: to visually notice. · operate: to cause systems to function or turn on with normal operating controls. · readily accessible: an item or component that is, in the judgment of the inspector, capable of being safely observed without the removal of obstacles, detachment or disengagement of connecting or securing devices, or other unsafe or difficult procedures to gain access. · recreational facilities: spas, saunas, steam baths, swimming pools, tennis courts, playground equipment, and other exercise, entertainment and athletic facilities. · report: a written communication (possibly including images) of any material defects observed during the inspection. · representative number: a sufficient number to serve as a typical or characteristic example of the item(s) inspected. · residential property: four or fewer residential units. · residential unit: a home; a single unit providing complete, independent living facilities for one or more persons, including permanent provisions for living, sleeping, eating, cooking and sanitation. · safety glazing: tempered glass, laminated glass, or rigid plastic. · shut down: turned off, unplugged, inactive, not in service, not operational, etc. · structural component: a component that supports non-variable forces or weights (dead loads) and variable forces or weights (live loads). · system: an assembly of various components which function as a whole. · technically exhaustive: a comprehensive and detailed examination beyond the scope of a real estate home inspection that would involve or include, but would not be limited to: dismantling, specialized knowledge or training, special equipment, measurements, calculations, testing, research, analysis, or other means. · unsafe: in the inspector's opinion, a condition of an area, system, component or procedure that is judged to be a significant risk of injury during normal, day-to-day use. The risk may be due to damage, deterioration, improper installation, or a change in accepted residential construction standards. · verify: to confirm or substantiate.